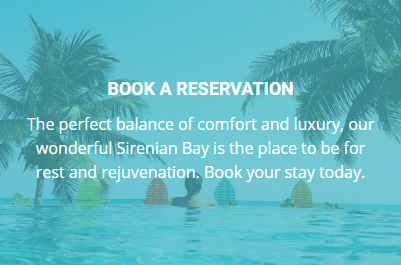 In 2018, two new properties will join the Sirenian Bay family – a four bedroom, two story villa (with private pool and beach access) and a one bedroom casita (right on the beach!). Watch for pictures and details coming soon. Reservations will open soon for stays in mid-2018. But that’s not all! We’re in the early design stages of a Caribbean-luxury, boutique resort! With plans to open in 2019, we’ll start construction later this year. At completion, we’ll be ready to host groups up to 50 people (wedding planning anyone?) with several one and two-bedroom rentals within the resort. And everything is adjacent to Manatee Villa (formerly known as Casa Sunsandsea)! We’ll be sharing more in the coming months… from our new name to details about all of the properties. It’s been a truly unBELIZEable year at Sirenian Bay – and we can’t wait to share our dream with even more people in 2018.